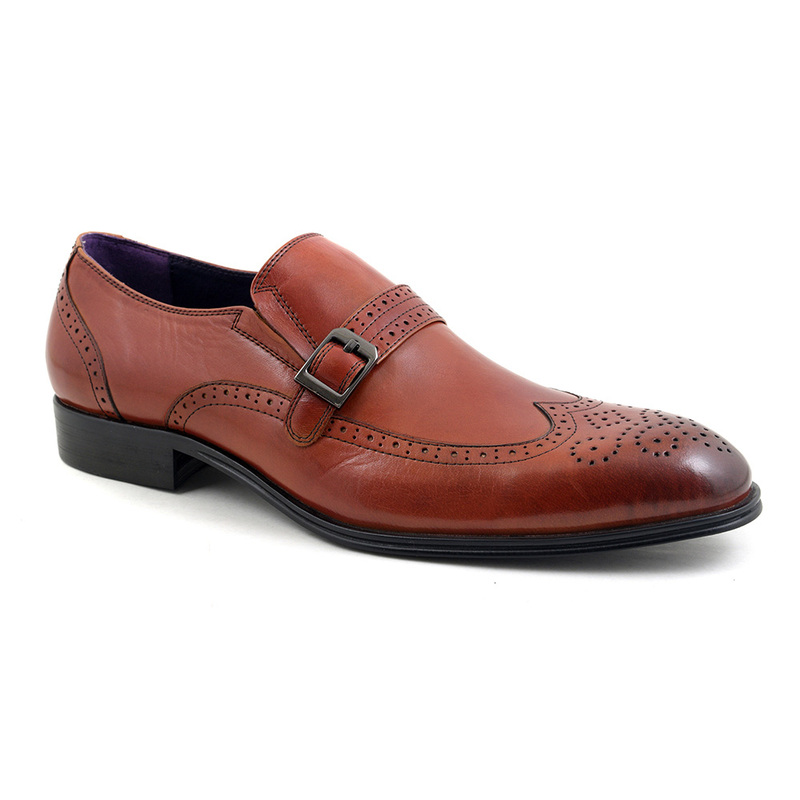 A russet red brown colour, these slip-on shoes have lovely detail such as the wing tip, brogue detail to the toe and the buckle strap across the throat. There is a bleed into a darker tone at the toe. 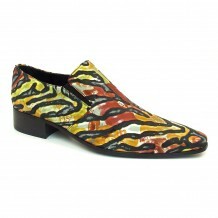 A great alternative colour that can be worn formally but would look great with a pair of jeans. 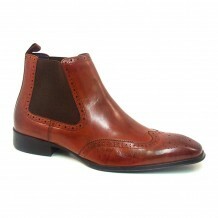 A lovely mens russet red buckle slip-on shoe which is in leather and rather stylish. 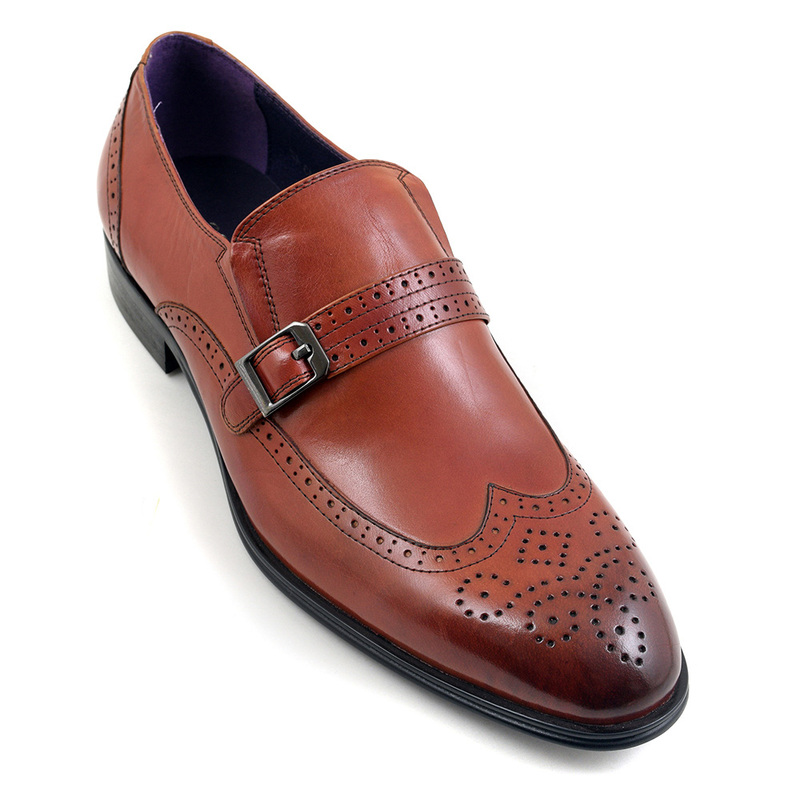 There is much brogue detailing to this red monk strap style shoe. It has a wing tip and medallion to the toe as well as punch out detail across the buckle strap. It is interesting to know that although decorative now, the holes on these shoes were once created to alleviate the issue of water in the shoes of workers in the fields of Ireland and Scotland. The word ‘brog’ is also the old Irish for shoe. Although they became walking shoes after this era, now brogues are perfectly acceptable to wear in formalish surroundings. 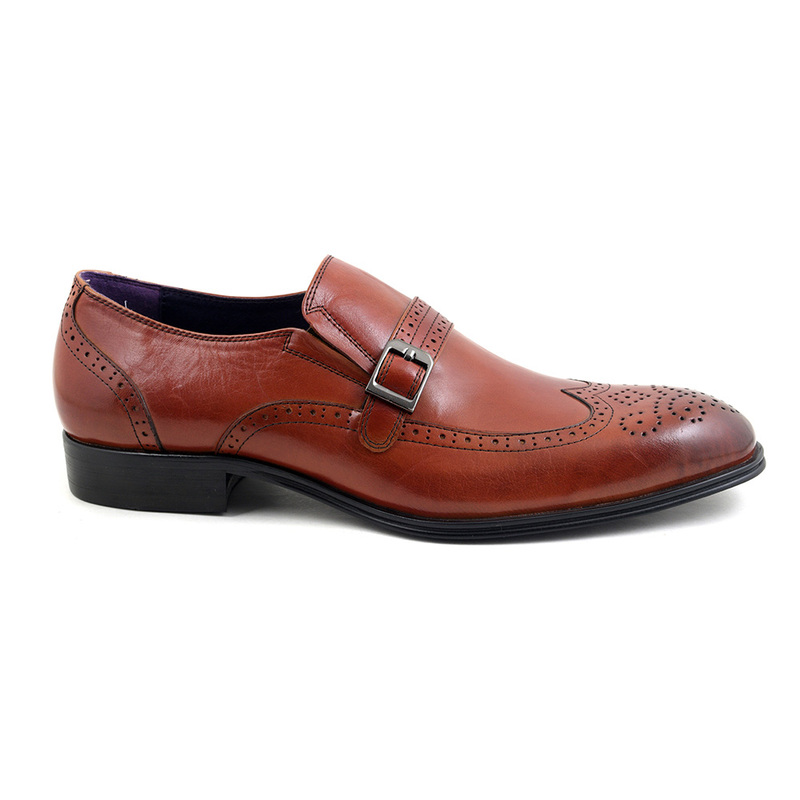 A similar change occurred with the monk strap shoe when originally it was monks who wanted to have a protective shoe and one that was easy to get on and off. Again, this was not considered too formal but over time, the mens monk strap has certainly become more formalised and is not out of place in the workplace. 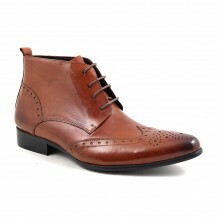 The combination of brogue and monk strap does mean these shoes would work with a suit just fine. These red monk strap brogues are really distinctive due to the gorgeous colour and are a superb substitute for black or brown. 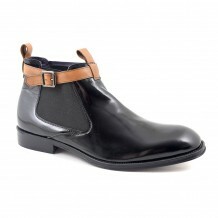 They are original and unique contemporary mens brogue monk straps which are dapper. We would recommend you use an unfinished cedar shoe tree for at least an hour after wearing them to maintain the shape. You will find this will help with odorous smells too. A lovely warm colour to add to your shoe collection: you will not be disappointed with these red buckle slip-on mens shoes. Be the first to review “Maoro Red Buckle Slip-On” Click here to cancel reply.